How do I Choose the Best Nail Polish Color? Dark nail polish is considered fashionable. Reds and pinks are a classic choice for nail color. A nail technician using clear polish on a woman's fingernails. Nail polish color can be coordinated with a person's outfit or lipstick color. With thousands of shades of nail polish available, picking a color that best suits your skin tone and style may not be as easy as it may first seem. As a general rule of thumb, a nail polish color that really stands out to you is usually a good choice. Most people are naturally drawn to colors that look good on them. For instance, if you have a warmer undertone to your skin, you're likely to be drawn most to a nail polish color with an orange tint. Cooler skin tones are more rare; if you have this coloring, blue based nail polish shades are likely to be the most attractive to you. There are also mid-value colors that have an equal balance of warm and cool undertones; these are worn well by people of any skin tone. Corals are warmer pinks; they have a hint of orange in with the red tones. A blue-toned pink will look cooler when placed next to a warmer one; it may look rather purplish in comparison. Mid-value nail polish colors are more difficult to determine because they are equal in their cool and warm undertones. They will appear neither bluish nor orange based and may have many different types of color names. Warm shades of nail polish may include descriptive words such as "tawny" or "burnished" while cool colors may be identified with "icy" or "clear." Clothing in colors that you've received compliments on or that you feel make your face look brighter can help guide you in choosing a flattering nail polish color. Either wear the garment when you go nail polish shopping or bring it with you. If the color you're looking for is pink, when you compare the different pinks of the nail polish available in the store against the shade in your garment, you should be able to notice whether the different tones are orange, blue or neutral. Of course, you can also coordinate your nail polish color with your most flattering shades of lipsticks, although matching them exactly isn't necessary. Many cosmetics experts assert that lipstick and nail polish look best when they're in the same color family, but not an exact match. 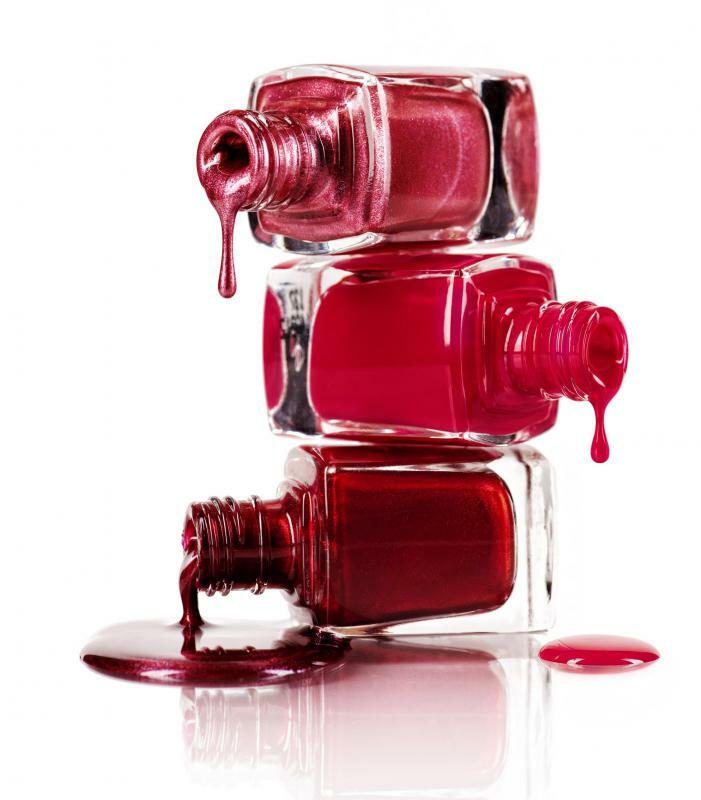 In general, darker and richer shades such as plums and burgundies tend to work best for the evening or winter, while lighter nail polish shades can be more appropriate during the day and summer. Dark nail colors also accentuate shorter nails, while lighter tones can make fingernails appear longer. What Is a Base Coat? 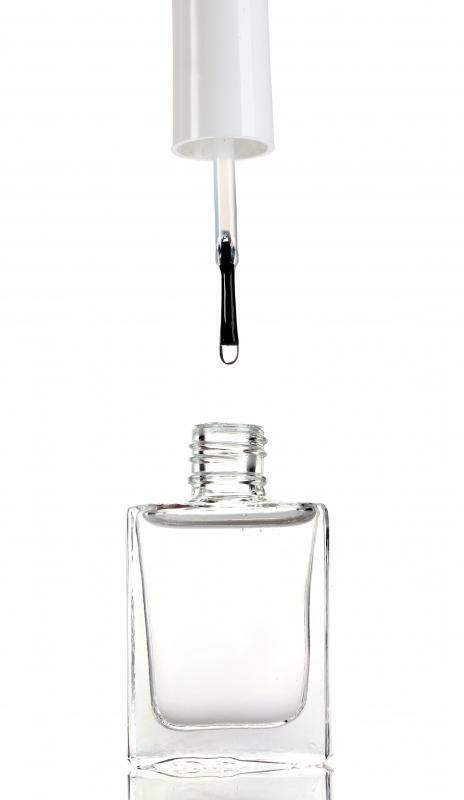 What Is Dry Nail Polish? How Do I Choose the Best Face Polish? @Almita - I love color theory. Nail polish color meanings are fascinating. The color red actually increases your heart rate when you see it -- that's why it's always associated with passion and love. Pink is a calming and relaxing color. It's always thought of as sweet and loving -- which probably comes from its relation to red. Pink also is known to reduce hunger -- so much so, that there are gyms that hand out little squares of pink paper to help you diet. Every color has a different meaning, so you should look it up sometime – it applies to clothing too. @Almita - You're very right about wearing subtle colors at work. I work in a quiet sort of office and brightly colored nails probably wouldn't fit the dress code. Bright nails in the workplace are discouraged but not banned. Most of my office are women, but all of us wear subtle nail polish if any at all. I've never been into nail polish much, but it can be a beautiful accent if you don't want to wear jewelry. Rings and bracelets aren't comfortable to me, so nail polish is about the only decoration my hands get. I like to keep it simple. @minthybear19 - It sounds like you have it all figured out there. I am also tan, but I don't like wearing white. It stains too easily. I stick to rose pink nail polish. It's my favorite color and it complements my skin nicely. I tend to wear earth tones -- browns and greens -- so it matches those too. Of course, on holidays I tend to wear black and red. I love crimson red nail polish, but is has a bad association with older generations. My mom always criticizes long red nails, so I stick to pink when at work. I always try to match my nail polish to my skin and my clothes. All of my outfits already match my skin tone, so the nail polish is just another addition to my look. I also try to use similar nail polish colors to whatever makeup I'm wearing. Like if I want a more dramatic look, I go with heavy black eye shadow and black nail polish. If you wear glittery nail polish, wear glittery makeup too -- than you're coordinated. You can also pick colors that accent your tone and outfit. I have a tan, so when I wear all white, I use brightly colored nail polish to add an accent color. I match it to my jewelry or make it contrast the rest of my outfit. There are so many types of nail polish to pick from, all you need to know is what looks good on you.